Under the guidelines of CBSE, New Delhi, the school is following Continuous Comprehensive Evaluation pattern of examination for Classes 8th. 9th & 10th to evaluate Child's Performance throughout the year. The session is divided into two terms. The Formative Assessment includes co-scholastic activities like quiz, project-work, class-test, power point presentation, debate etc. The co-scholastic activities are done 'in class' and 'in school' with the aim to reduce burden and avert cut throat competition among the students. It facilitates the creative skills and helps the leaner to correlate with real-life experiences. The Summative Assessment is a written test which is conducted at the end of each term. The syllabus for the same has been divided under the directions of the CBSE, New Delhi. The new system incorporates a 9-point grading system wherein all numerical data is converted into grades. CBSE in collaboration with Trinity College London has undertaken to standardize Speaking and Listening Test for Classes 9th, 10th and 11th. The Test is compulsory for all students and aims to enhance the conversation skills of the learners. The conversations are recorded and results dispatched to CBSE, New Delhi. The Reading Project for Classes 9th, 10th and 11th is an extension of library and reading practice which intends to inculcate a habit of reading. It has a direct impact on language learning. It is being incorporated for the last many years by the School, under the guidelines of CBSE and DAV Board. CBSE has introduced the Open Book Test for Class 9th (all subjects) and 11th ( Biology and Economics) to encourage learners to understand basic concepts rather than depend on rote learning. The Test is included in SA-1 and SA-2. 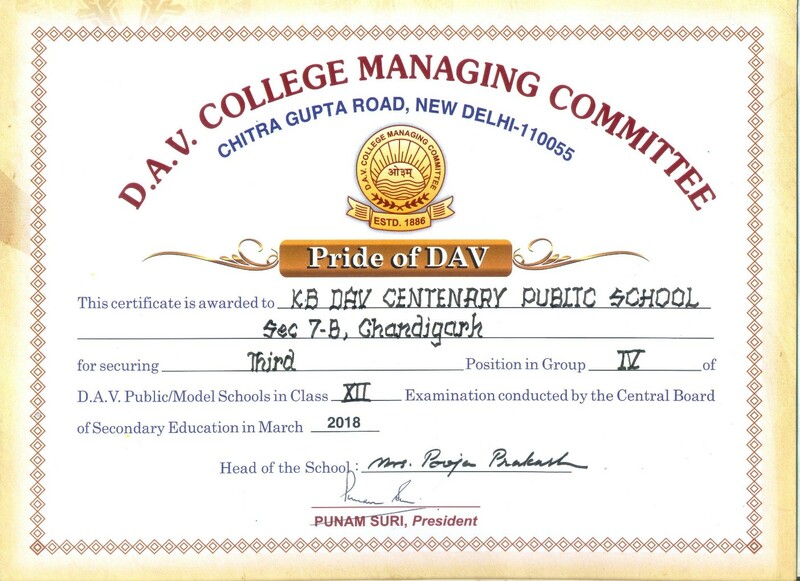 • There are 2 compact unit tests before half yearly exam and 2 unit tests after half yearly exam for classes IV to VIII, following the DAV Board guidelines. • For the classes Pr-Nursery to 3rd, there is one Assessment Test, one Review Test before Half Yearly Examination and 2nd Assessment Test and 2nd Review test is conducted before Final Examination.